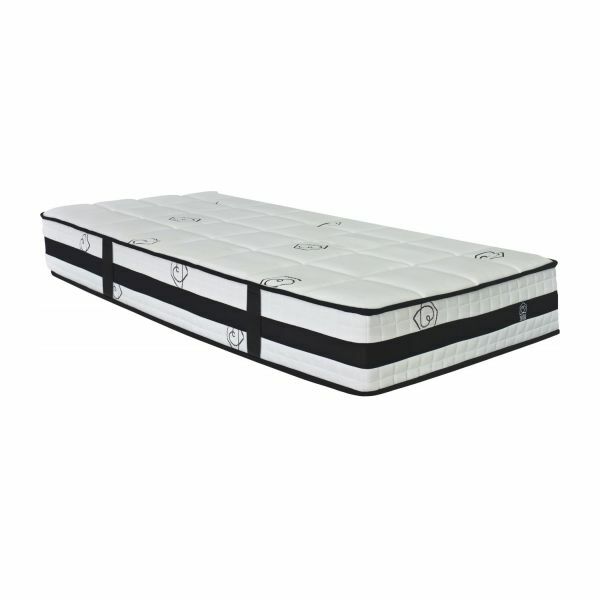 The Air Hotel mattress line brings you absolute comfort thanks to its memory foam and height. 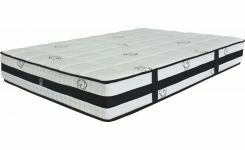 It has a white quilted surface with a large chequerboard pattern for optimal comfort and fabric mesh 3D side bands to keep the mattress well-aired. 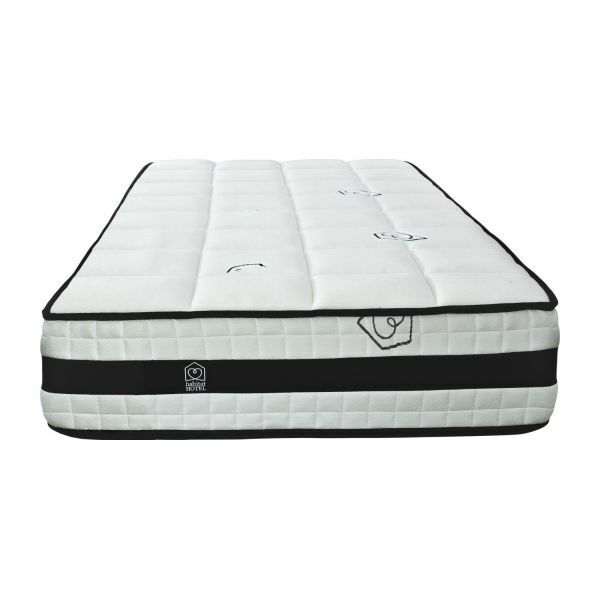 This mattress meets all your demands with its anti-skid base, fire-safe treatment and supporting belt. It takes 36 hours after unpacking for the mattress to attain its full volume. Top: 100% polyester Jacquard ticking with a Habitat logo, 1.5 cm of memory foam with a density of 45kg/m3. 2nd layer: 1.5 cm of polyurethane foam. 3rd layer: 5 cm of memory foam with a density of 45 kg/m3. Core: 17 cm of polyurethane foam with a density of 30 kg/m3. Underside: anti-skid fabric base. Mattress and ticking treated to be fire-safe. Mattress roll-compressed in cardboard packaging.